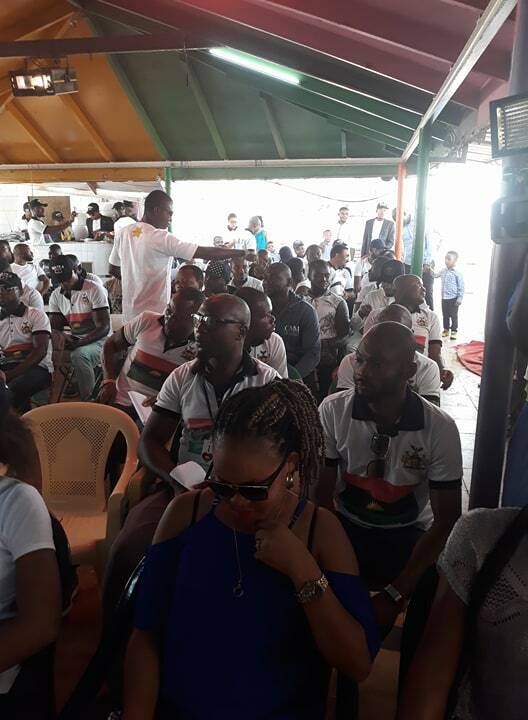 30th of May the indigenous people of Biafra worldwide observed a Sit-At-Home call as ordered by its leadership in honour and remembrance of our fallen heroes and heroines those that paid the ultimate prize with their life that we may live to talk about Biafra today. borderline between Israel and Palestine, which every world leader including UN stand up to speak about, another one that occurred recently on 22/5/2017 was the Manchester terrorist attack, in which after the attack 22 only was confirmed dead I still remember how all the international human rights communities stood up and condemned the killings, but Millions of Biafra has been killed, and still yet nobody is talking about it why must our own be different from others? When will justice be served to us? 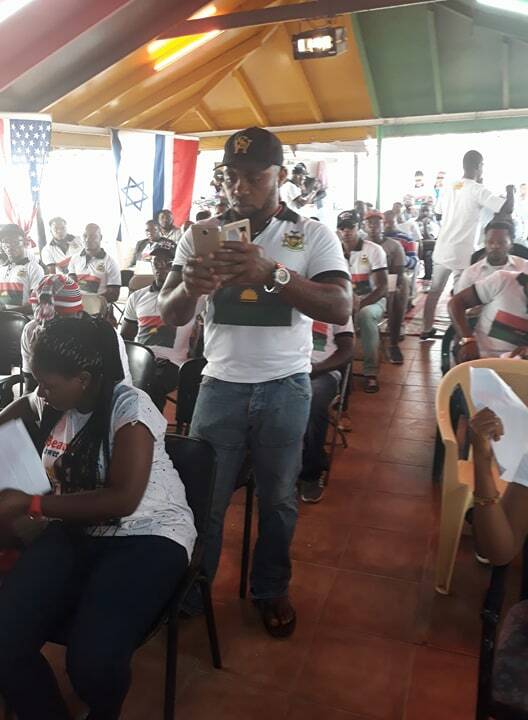 We are only asking for what belongs to us and not what belongs to the Hausa Fulani's or Oduduwa people, we have demonstrated to the world that what we want to let the zoo Nigeria army and police to know that Biafra must be restored no and that no amount of Intimidation or killings can stop the restoration of Biafra. 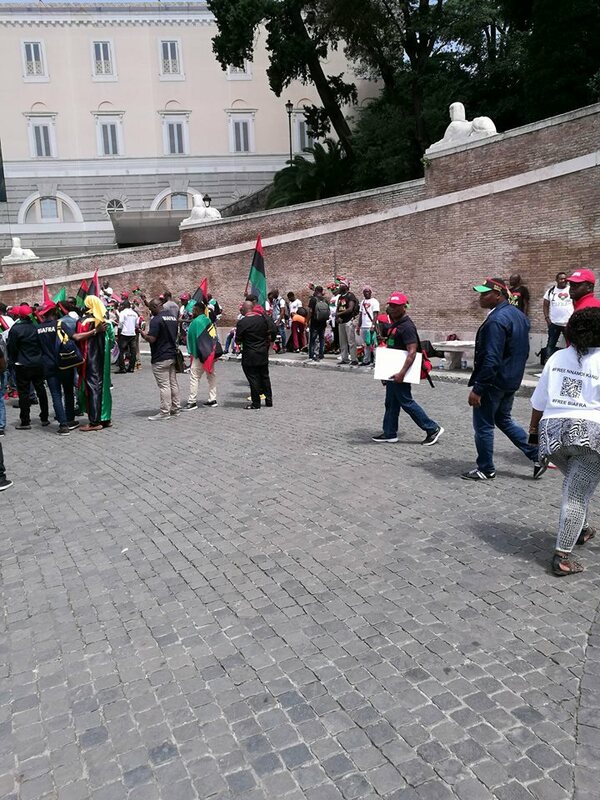 Even though the Nigeria Army still did what they know best to do today shooting and killing our people even at their residents, but we again thank (Chiukwu Okike Abiama) God almighty for making our this year heroes day a successful one, we made success in Italy, one of the populated place, we also gathered in pi Azza Della popolo (ROME)l, the police men called our national coordinator Michael iroanya for some critical questions, which after they gave us a go ahead order, we started at about 12;30 pm, ended by 3;00 pm. However, victory was re-recorded as the people complied to Sit-At-Home order for the Fallen Heroes. EDITED BY EZEKWEREOGU JOHN FOR UMUCHIUKWU WRITERS.